Maria Bjornson designed extensively for theatre, opera and ballet. In 1979 and 1988 she was part of the British Theatre Design Team awarded The Golden Troika Prazké Quadriennale. In 1983 she was awarded the Silver Medal for the Janacek Competition Prazké Quadriennale. 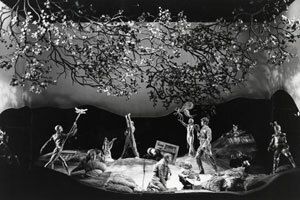 In 1990 she was awarded the Observer's Experts' Expert, The Designers' Designer, in recognition of her contribution to theatre design. In 1999 she was awarded the 19th Franco Abbiato Prize. She received numerous awards for her The Phantom Of The Opera designs, among them two Tony Awards, two Outer Critics' Circle Awards and two Drama Critics' Awards, all for Best Costume and Set.